If you're a fashionista in Vancouver, keep on reading, because believe me, you do not want to miss this! 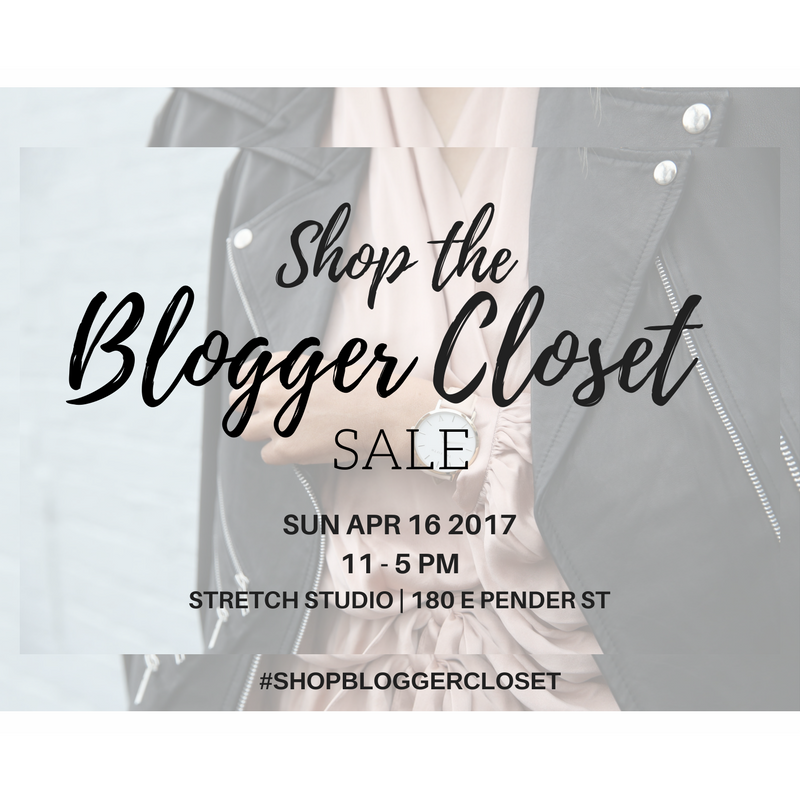 I've been spending the last few weeks gradually pairing down my wardrobe (haha ok the bf would contest that...apparently the closet doesn't look phased) for the Shop the Blogger Closet Sale, which is happening this Sunday, April 16th! It's a chance for you to refresh your wardrobe in an eco-friendly way that also supports a great cause: Because I Am A Girl. Along with the other bloggers, I'll be donating partial proceeds to their charity. Feel-good shopping for the win! Want to get a peek a what will be for sale? I've got a few sneak peeks below, and you can also check out the other bloggers who will be at the sale, to see what they'll have up for grabs: The Style Saver, Randa Salloum, Flirty and Frugal, Komorebi, And She Dressed, Miss Holly Ho, and Von Vogue. Event sponsors Flaunt Fashion Library, Mint to Inspire, Raccine Canada, Blenz Coffee, Baked by Meesh and I Like Her Style Vancouver will also be there to make this event even more fabulous! What: Shop your favourite bloggers' closets! Everything I have for sale ranges from $5 - $15, so to say there are some good deals is an understatement! And there's lots more than what you see above. I filled 2 hugs bags full of clothing and shoes, so there will be plenty more surprise finds at the sale!